With its single ply construction this is the softest merino. 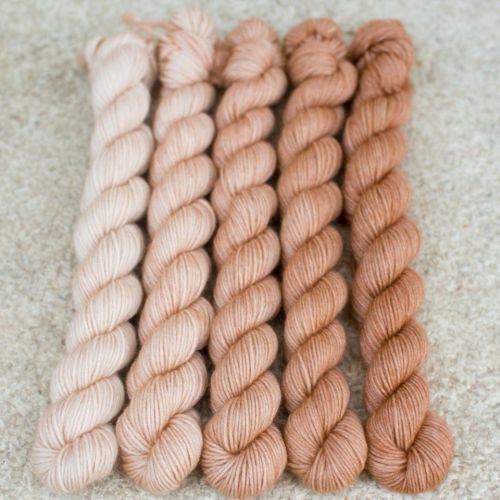 This listing is for a gradient set of five mini skeins of 20 grams each, for a total of 100 grams 366 meters, 400 yards. This yarn is machine washable, hand wash recommended to extend the life of your knits.